For the longest time the only penalties you would ever see called in Madden games were holding, offsides, false start, and pass interference every now and then. 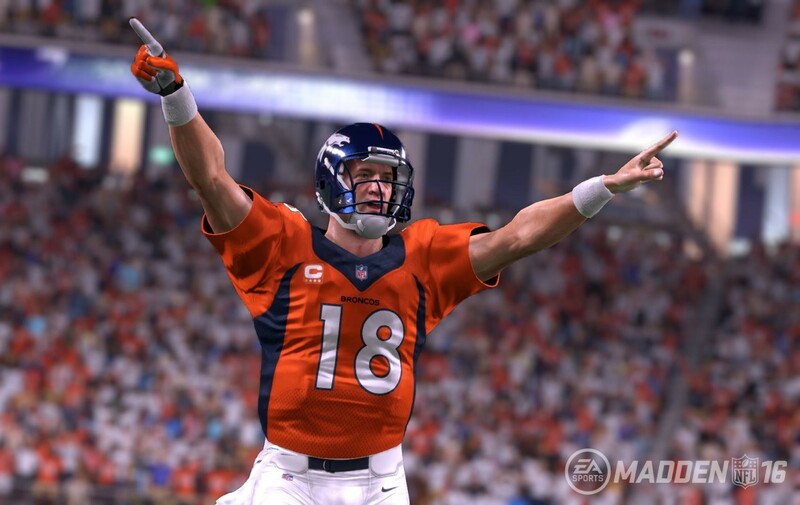 That is all going to change in Madden 16. EA Sports has decided to add a bunch of penalties into Madden 16 that you see every Sunday in the NFL. Realistic penalties is something that Madden fans have long been asking for. However, it is a double edged sword. While it absolutely adds to realism, there is nothing worse than making a huge play but then being called back simply because the game randomly decides to call a holding penalty on your offensive line. Now instead of only a few penalties where that can happen, there are almost 20. Every player in Madden 16 will have a penalty rating which determines how often they are penalized. That will be based on real world data collected each week from the NFL. Depending on the strategies you implement in the game, you will be more or less likely to commit a penalty. For example, cornerbacks in press coverage are more likely to commit a defensive holding penalty. You will have the ability to customize how often penalties are called via custom sliders so if you don’t like all the frequency with which flag are being thrown, you can make a few adjustments until the gameplay experience is just the way you want it. Aren’t at least 60.What Madden needed to fix was its cpu AI.You cant have a real franchise because the cpu does the dumbest stuff,.For example free agents every offseason youll have a pool of almost all the top free agents and dince i have absolutely zero interest in owner mode since they murdered it after 2012 or doing financial business like hot dogs etc i skip owner mode.The only way i or most of my friends go back to owner mode is if they brought back Madden 11 and 12 team relocation and the ability to completely design my own jerseys as well.I play cap of im a transplant patient and im trying to focus more the game offline multiplayer with fam and friends and online custom franchise with strangers and friends. Good point. I know a lot of franchises do mess around with sliders to make the game more realistic. However, I do think there is something to be said for having more penalties called by default so that the 95% of Madden gamers who don’t mess around with sliders can have realistic penalties called as well. What I’d like to see them fix in Madden games is when you continue to get pressure on the QB’s and what looks like it should be a fumble by the QB, becomes an incomplete pass instead. Very rarely do I see it called a fumble when you obviously blitzed the QB and his arm clearly wasn’t going forward. This used to happen much more in the past games several years ago it seems. That needs to be fixed for sure. I have been playing maden since the beginning (1989) over the years I have seen the evolution take leaps then baby steps. I appreciate the development teams earnestly taking input from the people that actually play the game. This year look like a leap year in improvement. I would like to see at the beginning of the season the stadiums that have Major League baseball games like (Oakland) have the baseball diamond still on part of the football field. That would add another texture of realism. As for penalties what about hitting a defenseless reveiver? I don’t see that on the list of penalties. It’s a stupid rule but it is part of all of football now, youth league, highschool, college, and NFL. Randomly generated penalties are the worst part of madden, they make no sense at all. In real life you have people making mistakes, in madden the game just screws you over at random. Madden players asking for more realistic penalties sounds made up to me.